Bonus for me is that I used up some stash fabric and finished off two UFO’s from December. I didn’t measure anything, I just eyeballed everything and then tore along the grain to get 2 rectangles of fabric. 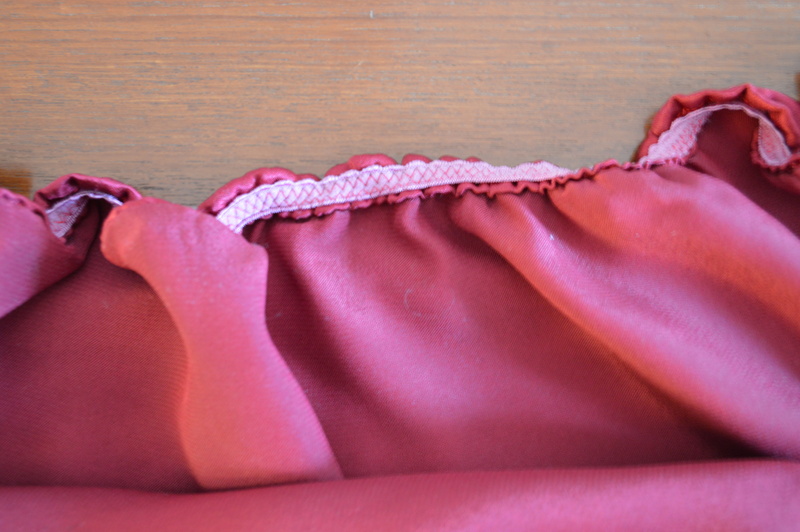 I folded the edges over twice about 5mm then sewed them down as the fabric frays like mad. 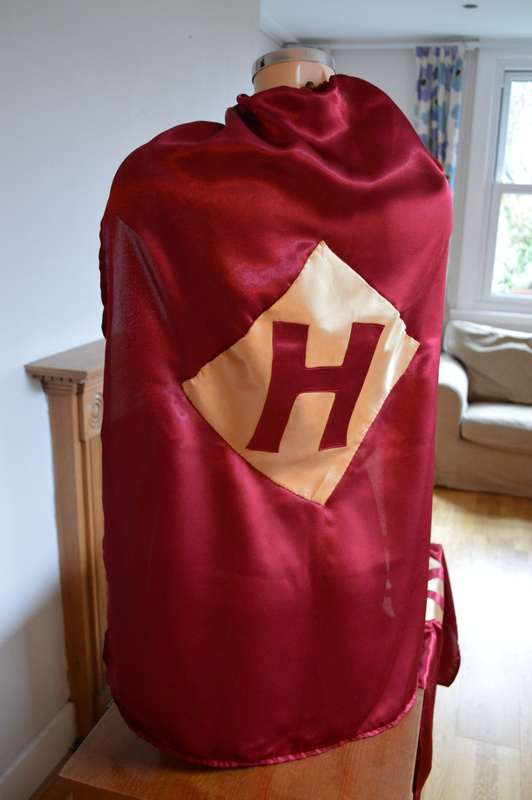 I applied elastic loosely to the top and applied a small adhesive velcro square at the front of the cape so they are able to get them off easily and are safe to use. I used Bondaweb to fuse the initials (which I had drawn paper templates for) onto the gold polyester then edge stitched around them. 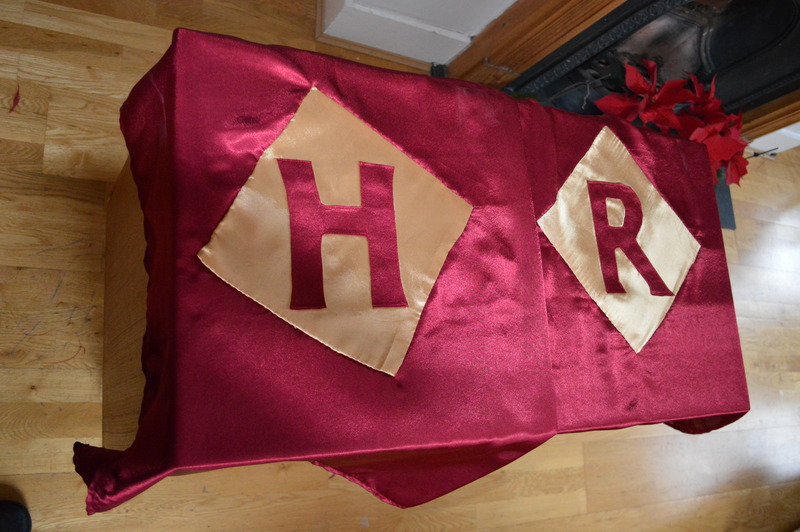 I interfaced the gold squares and slipstitched them onto the back of the capes. Yay for brilliant aunties! 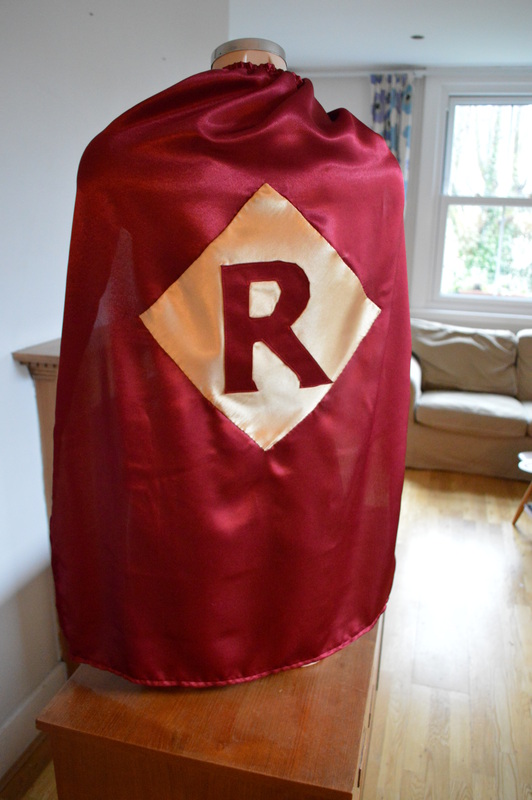 What nephew wouldn’t want a superhero cape? !